The Fourth of July is just around the corner! I'm decorating with my newest runner pattern, Salute, available at both Craftsy and Etsy. 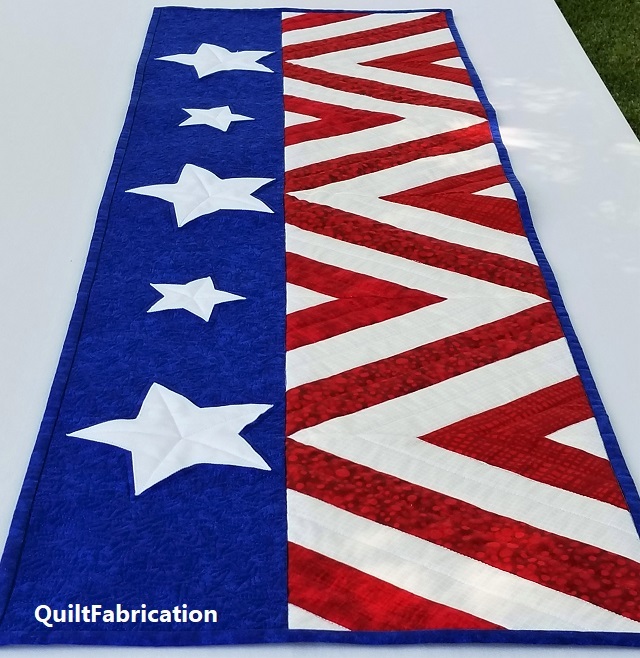 Made with my favorite colors - red, white, and blue - this one sews up quickly and easily. Simple paper piecing keeps those stripes in line, making for perfect blocks. 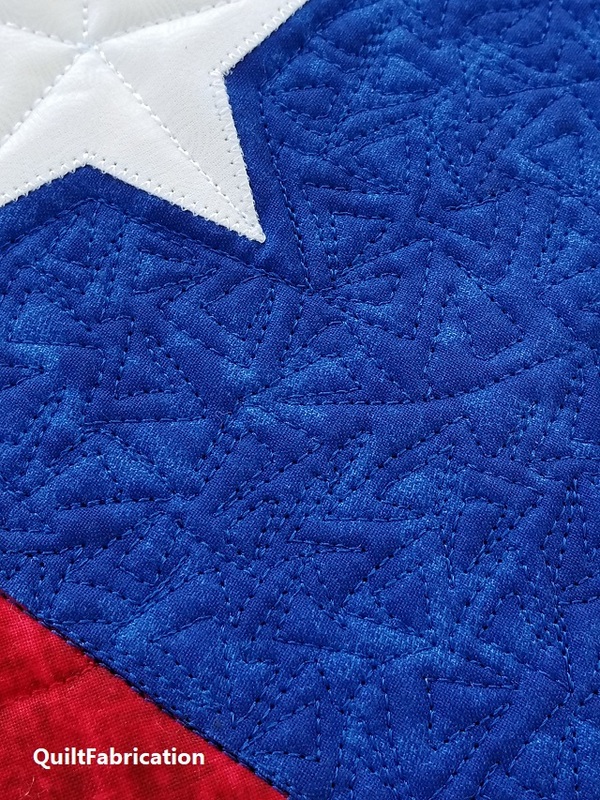 Add a few applique stars, and ta-dah! A runner for the Fourth of July is born! 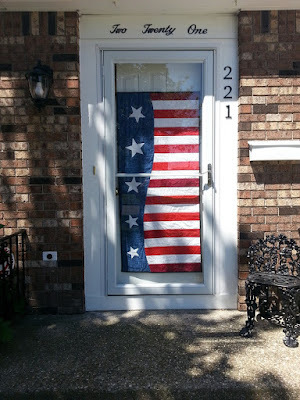 Measuring approximately 15" x 51", this one adorns the counter by my dining room table, surrounded by other patriotic decorations, including the flag outside. This way, it doesn't compete with the Patriotic Wave. which is deserving of it's own post, complete with video, coming Monday. (Update - check out Echoed Triangle Fill). And because the stripes are so bold, there's no need to go overboard with the quilting there. Stitch-in-the-ditch and a line down the middle complete the runner. The stars are the same way - simple lines from point to center. 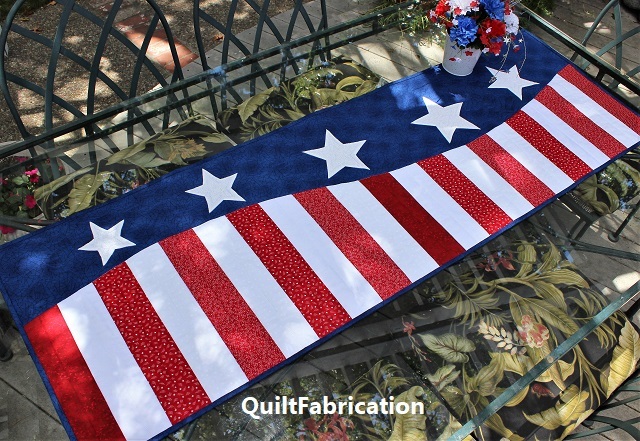 The Salute pattern is now available on Craftsy and Etsy, just in time for the Fourth of July. 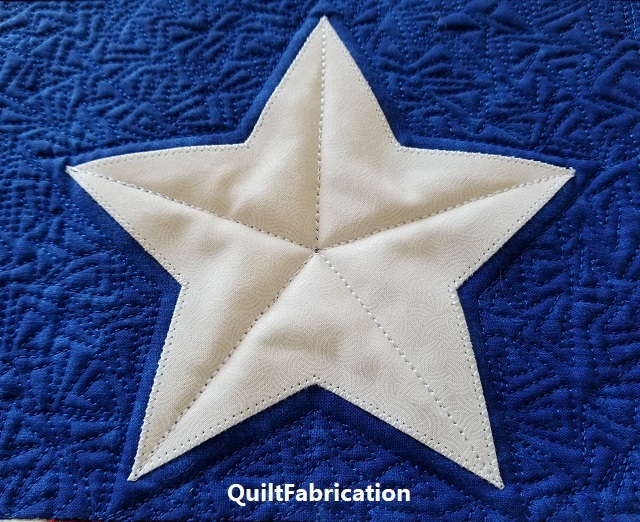 All templates are included: two for the stars, and full size paper piecing patterns for the blocks. 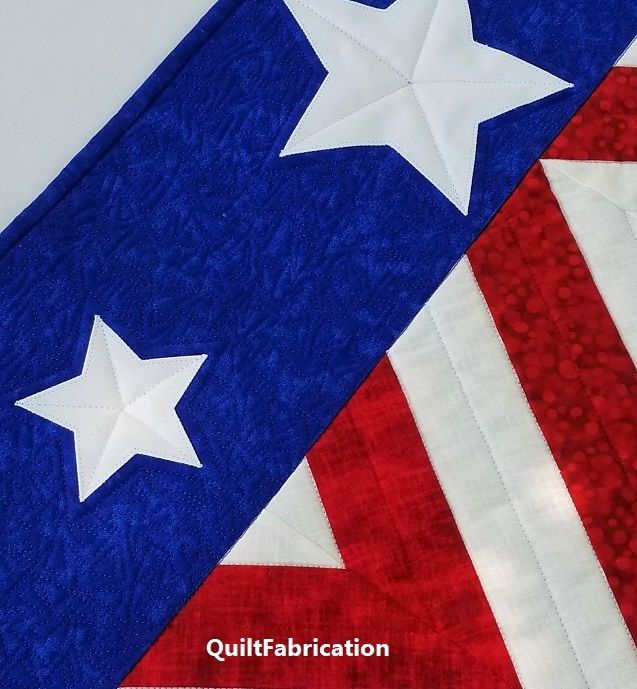 Plus, I include an introduction to paper piecing and fusible applique, and tips on seam matching, techniques a confident beginner will be able to manage. Don't feel like another runner? 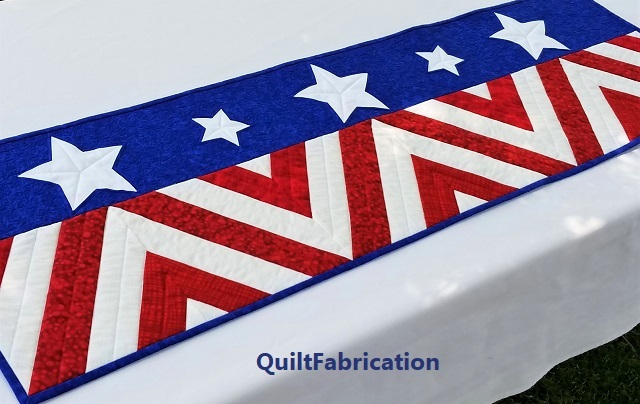 Do like this quilter did with the Patriotic Wave - turn it and hang it! Love them both. That is a good idea to hang one in the door. That's another beautiful one, Susan. 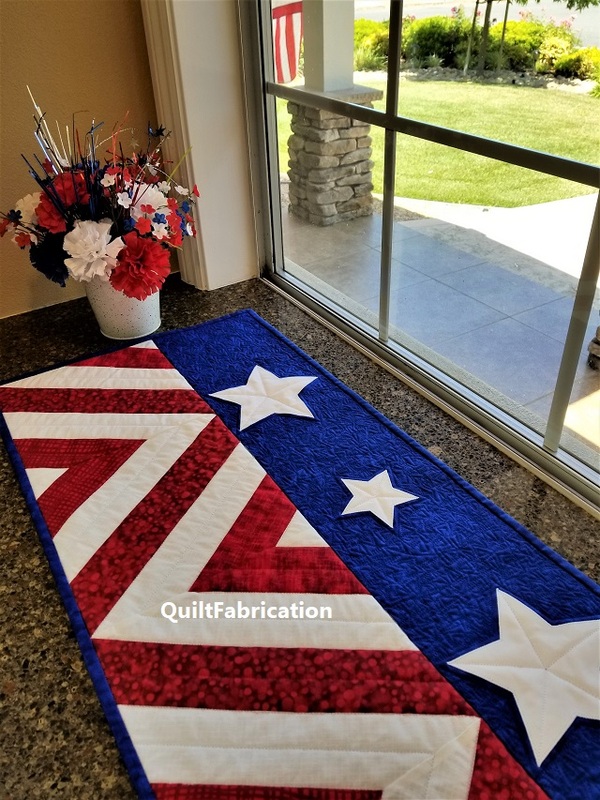 OH Wow those are stunning, quilting, colors, and all. How cute - and the colors are so bold and crisp!! Great idea for the holiday! !